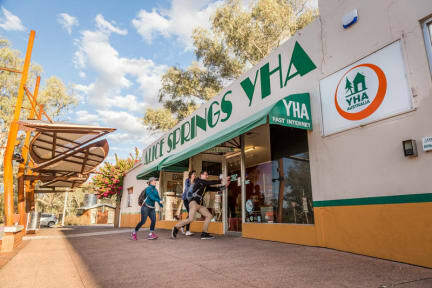 The best located backpackers in town, Alice Springs YHA is built within the grounds of an historic outdoor movie theatre. 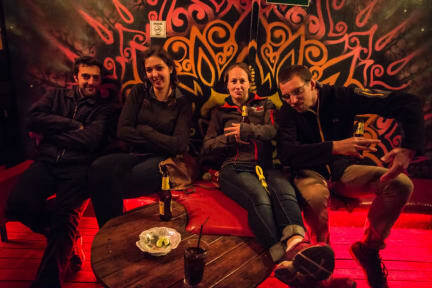 This is definitely somewhere different to stay! The hostel has the big outdoor movie screen showing a free indigenous movie about Aboriginal culture nightly. It has an attractive outdoor area and swimming pool, all adding to the relaxed friendly atmosphere. All the rooms are air conditioned, and there is a BBQ, and tour desk. Now enjoy the free, fast Wi-Fi all throughout the property.